Opening hours Tuesday & Thursday 11am-1pm & 2-6pm, Saturday 11am-4pm. The first showing of Vee Speers new series BULLETPROOF in London, following its successful launch at Paris Photo last year. Vee Speers new series BULLETPROOF follows six years after her infamous series THE BIRTHDAY PARTY . Continuing the theme Speers now photographs these same children. Since then, much has changed - their bodies are taller, longer. Their faces have thinned and transformed. Speers has recorded it. She has taken them to imaginary lands, playing fields, and curious places where these characters are ever prepared and always win. 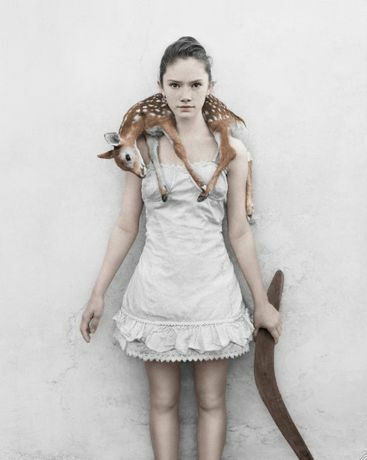 Vee Speers eternalises the fragile beauty of adolescence. She photographs a time that follows the first loss: that of childhood.